Black, blue, green, light blue, pink, red, white, yellow, gold, silver. Posca PC-17k 15mm Paint Markers Collection Box. 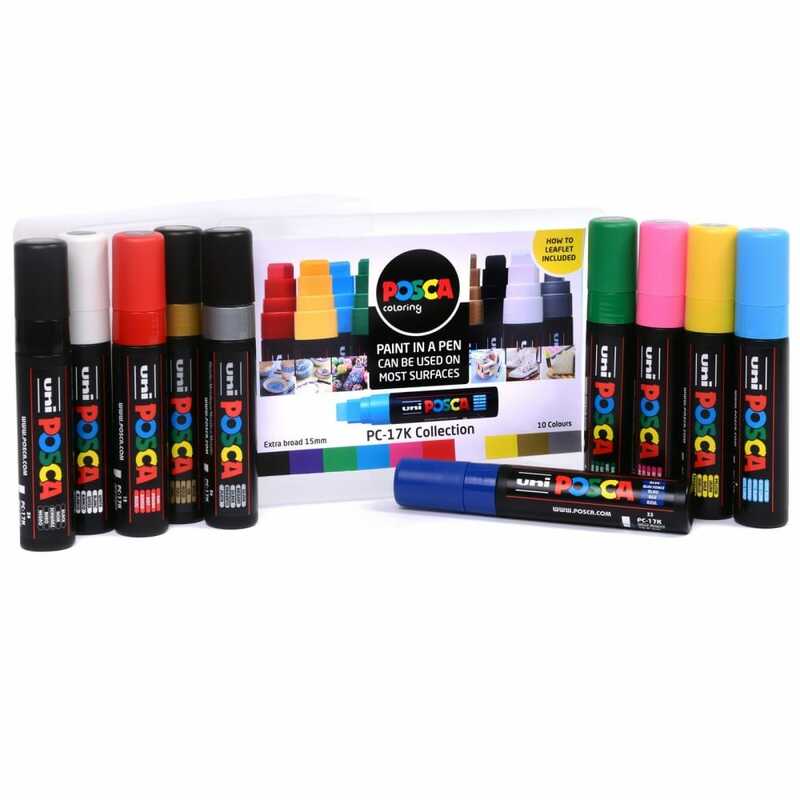 Each large extra broad Posca pen contains non-toxic water based paint. Posca markers can be used on metal, wood, glass, plastic, plaster, canvas, fabric and much much more! Posca markers are non permanent and removable from non-porous, sealed surfaces like glass, plastic, acrylic, car bodywork, non-porous chalkboards with soapy water but for even better removal use a chalkboard cleaner. The opaque, water-based acrylic paint is non-toxic and acid-free, odourless, light-fast, Xylene-free, lead-free and waterproof when dry. Used by Professional and Amateur Artists all over the World. Great for Sign painting!